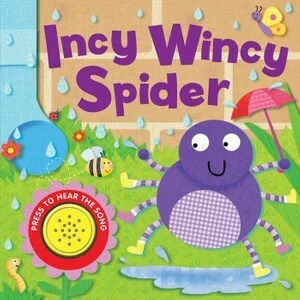 On World Book Day two of the kids brought Incy-Wincy Spider books. One brought a puppet book, the other brought a sound book. They were, as you would expect, the incy-wincy spider song with pictures. 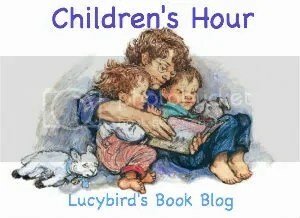 We preferred the sound book. Pressing buttons is exciting! And it was easy to sing along too. We did have to read it several times so everybody could have a turn pressing the button though, which was rather frustrating after some time- especially as the batteries seemed to be running out. There were a couple of issues with the puppet one. It was a small book, so not really designed to read in a group. Plus the child who brought it in really did not like sharing it, he cried through the whole thing. We liked the puppet crawling on us though!